DCI Telecom High Speed ADSL internet service is up to 60 times faster than 56K dial-up, with download speeds of up to 5 Mbps and upload speeds of up to 800 Kbps. DCI high speed DSL service is not high speed dial up. Don't get caught up in all the marketing double talk. DSL service is up to 60 times faster than dial up and much more reliable. It's a high quality connection with consistent speed that's always on and ready to use whenever you want, without tying up your phone line, regardless of how many people are online. DCI does not charge any activation fee, no setup fee and no modem fee. Service is charged on a month to month basis and your monthly fee includes UNLIMITED bandwidth usage. 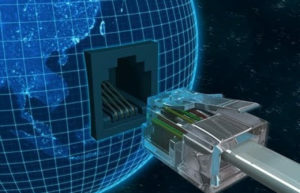 High Speed Internet service is also available as DRY DSL for locations with no active telephone line. Pricing is about $8 per month (depends on band rate) plus the regular DSL fee. Dry DSL is available for residential and business customers. If you have an active phone line and would like to order dry DSL service, you must first disconnect the telephone service before we can order dry DSL at your location. If you want to keep your line, you must order regular DSL service. DCI Telecom high speed DSL modem can be rented or purchased. The standard modem costs $75, the wifi modem costs $99. Both can be returned at the end of the service term for a full refund if you keep the ORIGINAL packaging and the modem is still in good working order and free of markings. Rentals must be returned in the original box, in resellable condition or you will be charged the purchase fee to replace it. Pricing/ offer subject to change at any time without prior notice. Taxes are extra. Other conditions may apply. Monthly fee includes unlimited bandwidth usage limited by our reasonable usage policy. Service available where technology permits.